The career of a professional athlete is something that fans often take for granted. We watch in stupefied awe as Russell Westbrook explodes towards the rim with reckless abandon. We howl with glee as James Harden collects the ankles of a helpless defender. And of course, we gloat with pride as our favorite players slam an Earth-shattering dunk down onto the forehead of anyone foolish enough to invade their air space. But the lights go out at some point. Speed dwindles. Suddenly, instead of soaring to rarefied heights, players find themselves gliding at lower altitudes. Witnessing an athlete age is comparable to watching Disney’s Hercules relinquish his powers to Hades and then spend the first part of the apocalypse getting booted around by that giant Cyclops. Late Tuesday evening, it was announced that Derrick Rose would miss the rest of the 2014-2015 NBA season with a torn meniscus in his right knee. This is the third knee surgery Rose will have to undergo, after already tearing this same meniscus in 2013 and the ACL in his left knee in 2012. Chronic devastating injuries are nothing new. Ask Sam Bowie. Ask Brandon Roy or Penny Hardaway. What is unique in this situation is that we’re talking about Derrick Rose, who was Russell Westbrook before Westbrook flourished into the force that we know him to be. No player jumped out of the gym, ferociously launched themselves at the rim, or knifed through the air in a manner that was simultaneously ferocious and graceful like Derrick Rose. He jolted alive a Chicago Bulls fan base that had been dormant since Jordan and was the only entity that prevented Lebron James from winning three consecutive MVP awards. 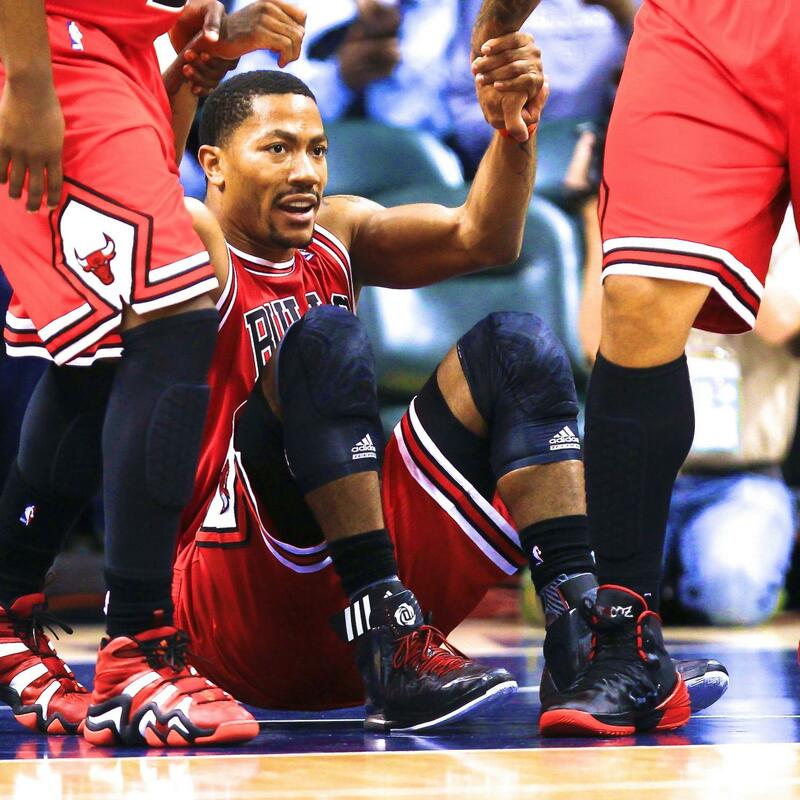 Derrick Rose, once violently fluid, now will almost surely never be the same player. We will never see the Derrick Rose of old. His spectacular feats of athleticism will live on in YouTube immortality, but what he has to offer on the basketball court in the present day will be sharply curtailed. Enjoy the sensational talents of these athletes while they are at the pinnacle of their ability, because in an instant the once guaranteed promise of their careers could be left disappointingly unfulfilled. Already Westbrook, the closest comparison to Rose, has had to overcome a meniscus injury of his own. If anyone should pay close attention to the tragic tale of Derrick Rose, it’s the Oklahoma City point guard. For if the mighty Hercules can lose his strength, so too can NBA superstars.